Pumpkin puree, a smooth and flavourful mixture of pure pumpkin, provides the foundation for many delightful desserts. From pies and tarts to muffins and quick breads, pumpkin puree makes these sweet treats delicious. It’s great to make this recipe ahead and freeze so that you’ll have plenty on hand to add to seasonal sides or your go-to pumpkin pie. You can use the pumpkin puree in any recipe that calls for canned puree. As a general rule, 3 pounds of fresh pumpkin will yield about 3 cups of mashed and cooked pumpkin. Rinse the pumpkin thoroughly and then using a serrated knife cut the pumpkin in half. Scoop off the strings and seeds using a spoon or scooper. Begin to boil the water in a large pot and place a steaming basket/collander. Once the pumpkins are chopped place in the basket and steam for 15-25 minutes-when the knife or toothpick easily pierces its skin then it’s done. Allow it to cool, then peel or cut skin off and discard. Then puree the steamed pumpkin meat using blender/food processor. Can roast the pumpkins in oven if peeling and chopping is a tedious process then the roasting time is i more. 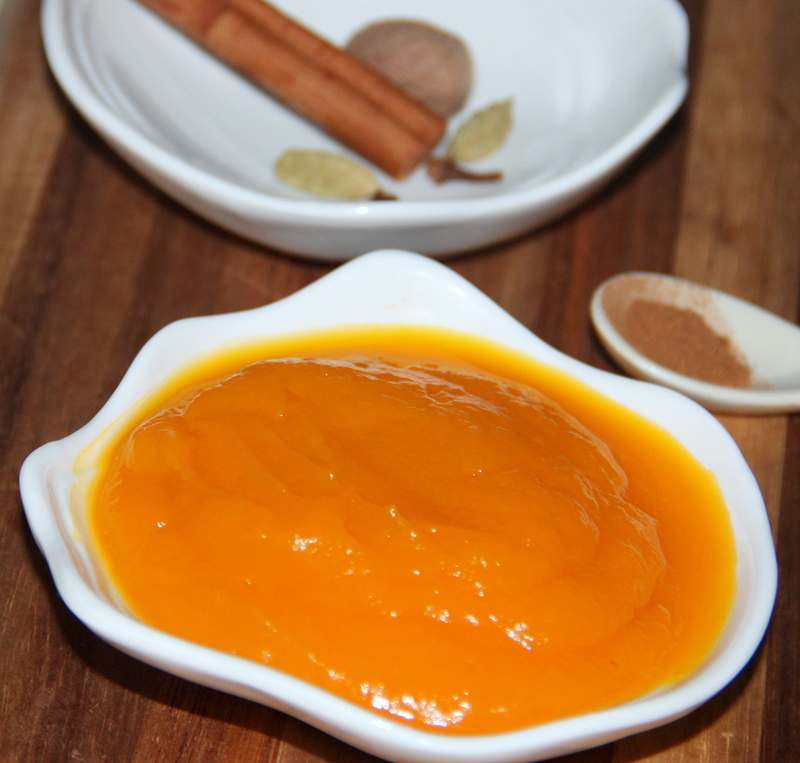 Posted on November 19, 2014, in Indian, Sweets and tagged How to make Pumpkin Puree on How; How To's. Bookmark the permalink. 11 Comments.